There are appetizers, ingredients, side orders and drinks that go well with your main meal. And, there are those that can be the main attraction themselves. Here are ten of the things you can never have enough of. See if they make it to your list as well. 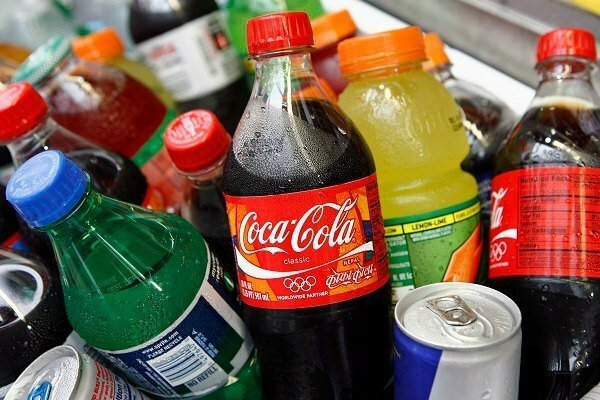 What’s preventing you from drinking more soft drinks? That would be; having to stand up to get more from the refrigerator. If someone is assigned to pour soft drinks on your glass every time it goes below the halfway mark, everyone will be taking a sip after every bite. Yes, soft drinks help sink the food down and its carbonation helps put the sting on any meal and that is why restaurants that offer the bottomless option always get the customers. There is no way your beverage can be too cold. There are some people who request for less ice on their drinks but most are most pleased when ice piles up all the way to the brim to make their drink as cold as possible. Have you ever heard anyone requesting for less cheese or a cheese-less cheeseburger? Of course not, that would be ridiculous. Cheese is simply so good in everything. Whether it’s on a burger, melted in pizza, sprinkled over spaghetti, grated and embedded in a taco shell or stuffed in Cordon Bleu, more cheese will make all of these dishes even tastier, juicier and better. No one will say “what?” when you request cream on your ice cream because it goes very well with all kinds of dessert, even on top of its namesake. It’s hard to describe its taste. People like it more because of its texture. This makes you wonder about the reason why people are requesting for more cream. Is because they are trying to determine its actual taste? Or, do they simply like that smooth fluffy texture? At any rate, nobody minds burying their dessert under a pile of whip cream even if it ruins the presentation. You can never complain about having too much cream. How many strings of fries for every bite on your burger? Nobody can keep count as everyone just keeps on putting one string of fries after another will munching a bite of the burger. Fries are just so great that you can see everyone’s hand trying to outmaneuver other hands as soon as the basket of fries touches the dining table. The scene resembles the jump ball in a basketball game and all other offensive and defensive moves to score the most baskets. It’s a psychological game of whoever eats the most fries in the basket wins. A basket of nachos is a great way of keeping customers from being bored while waiting for their orders. It may be just a complimentary appetizer, but some people consider free nachos as a key deciding factor in choosing the best place to dine. Mayonnaise makes the juicy beef patty even juicer. If a jar of mayonnaise is placed on the table, people will not only open up their burgers and add more scoops of mayo, they will also spread a spoonful of the tasty mayo on the surface where they are about to bite. They will keep on applying generous amounts of mayo until the last chunk to be swallowed. If some mayonnaise will be left around the lips, people won’t use the table napkin to wipe off the smudge. Instead, they will run their tongue around their lips or wipe it off with their fingers so they can still lick it from there. It is always like a murder scene when one is allowed to put as much ketchup as they want on their fires, burgers, and chicken. Ketchup stands on equal footing as mayonnaise in the most popular condiments’ department. The term “murder” is the perfect way to call it when you pour ketchup to your food. Squeezing the dispenser is not enough. You have to shake it out in a stabbing motion which makes the famous “Psycho” movie tabbing sound effect run through your head as you are doing it. Gravy is butter without the guilt. It adds taste to mashed potatoes, steaks and chicken. If no one looking, people won’t mind drinking the excess gravy straight from the cup. In a few years’ time, gravy might just be considered a beverage. The world is getting crazier and crazier there might just be a gravy shake coming up soon. You can’t have enough syrup on your pancakes at Village Inn. Can you recall your eager anticipation as you wait in line for the syrup? Syrup pours down on the pancake so slowly that you can literally fall back to sleep as you wait for your turn. When it’s your turn to pour the syrup on your pancakes, you’ll want to pour the most that you can until the next guy asks you to leave some for him. Though these condiments, ingredients, side orders and drinks are mouth-watering and addicting, they cannot stand alone. Still, the best way to enjoy them is in moderation with the occasional indulgence.